By CNN'S JAMIE GUMBRECHT, GENEVA SANDS AND MARLENA BALDACCI CONTRIBUTED TO THIS REPORT. 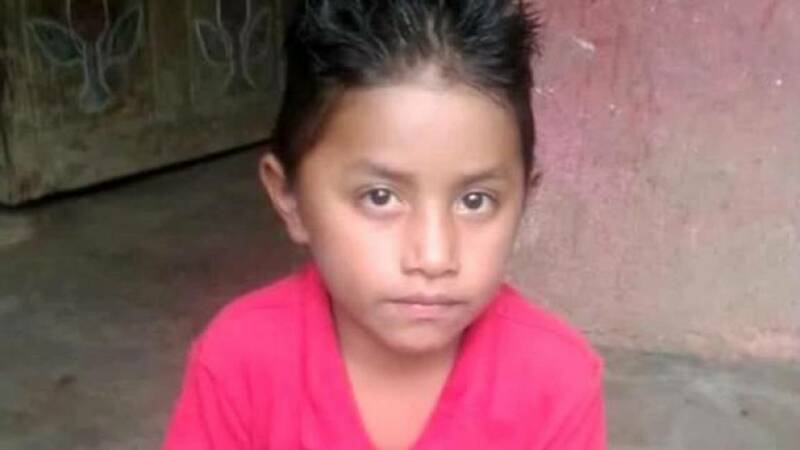 (CNN) - The 8-year-old Guatemalan migrant who died on Christmas Eve in the custody of US Customs and Border Protection had the flu, according to the New Mexico Office of the Medical Investigator. An autopsy showed Felipe tested positive for Influenza B, the medical examiner's office said Friday. President Donald Trump in a pair of tweets Saturday blamed Democrats and their immigration policies for the children's deaths. Trump is at an impasse with Democrats over his demands for a border wall as a partial government shutdown heads into a second week. "Any deaths of children or others at the Border are strictly the fault of the Democrats and their pathetic immigration policies that allow people to make the long trek thinking they can enter our country illegally," Trump wrote. "They can't. If we had a Wall, they wouldn't even try!" Trump said that the two children who died "were very sick." Felipe's half sister, Catarina Alonzo, 21, said the boy was healthy when he set out with his father for the United States in the middle of this month. He had vowed to work hard to send money to his mother in their small village in the highlands of western Guatemala, near the border with Mexico. "This is not what we wanted for him," she told CNN in a phone interview Friday. Alonzo described Felipe as a playful and respectful boy who liked soccer and eating fish from a lake near the family's thatched-roof home. She said the family had received a phone call from a Guatemalan consular representative but government officials have not visited or offered assistance. Felipe's father had planned the journey north for about two weeks, Alonzo said. She said she believes they rode buses to the US border. In addition to working, she said, Felipe was also eager to study in the United States. The Guatemalan Consulate in Phoenix said in a statement that Felipe's father was able to see his son's body Friday at the medical investigator's office in Albuquerque, New Mexico, and said goodbye. Felipe's body will be returned to Guatemala following the conclusion of a forensic evaluation, the consulate said. The father has been in the care of the Guatemalan Consulate since Friday morning, it added, and he's being given assistance as his migration case goes forward. Nielsen's trips to the US cities near the Mexican border are intended "to see firsthand the medical screenings and conditions at Border Patrol stations." "I appreciate Secretary Nielsen taking the time to meet with me to discuss the El Paso region, and our immigration needs on the border," Margo said in a statement. "Our federal officials should visit the border when making decisions about our immigration system, and Secretary Nielsen's visit is most welcome."